Quite a weekend of Improv at ImprovBoston! 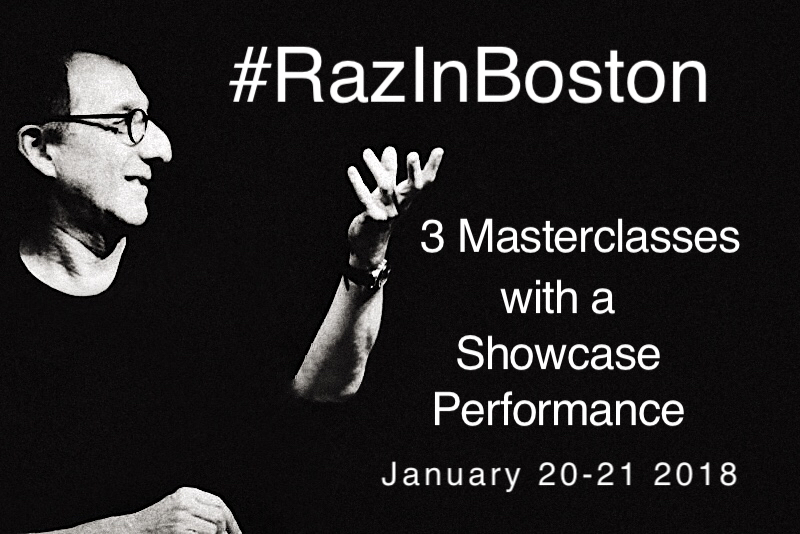 I'll be leading three masterclasses at the great Improv Boston. Each workshop is designed to move you, guide you, give you confidence, improve your strength and your ability to be present. A group scene doesn’t have to be a confusing or feared clusterfunk. Get yourself into that scene! This masterclass will show how the art of the three-person (+!) scene is simple once it’s broken down, leading you to stronger, challenging, surprising, and easy long-form scenes. Start it out right, heighten it, move it forward, and keep it moving. A toolbox contains more than a hammer, so shouldn’t your scenes contain more than anger and conflict? Find creative freedom when positive emotional choices drive your scenes. Guide your scenes forward without a need to conjure up an argument, defend your side of the story, or your need to have your ego intact at the scene’s end. It’s not about winning our losing---it’s about keeping the scene alive. The focus of this master class is to get the actor to set aside all of the unnecessary elements of improv training and replace them with a life-changing awareness of “You being on stage with you.” The most important person on stage is YOU. YOU get to notice what happens, YOU get to be aware of what’s inspiring you, YOU get to follow what energizes you, and YOU get to celebrate the surprises that YOU create.With the full-day YOU masterclass you’ll enter the world of personal awareness and presentness, of the excitement of knowing what to do the moment the moment arrives! YOU are in charge, and this workshop will be a study of--and a practice of--you connecting to you. YOU are the boss of YOU. Then you get to work it out in performance! A 7pm “guided performance,” side-coached by David. -- Owning calm self-awareness at the beginning of your scenes immediately leading you to strong points-of-view. This will all lead up to you being a strong, confident, courageous actor, producing scenes that will most surprise...you. Saturday, January 21, 2018, 10am-5pm. SHOWCASE IS AT 7PM!